A little flying elephant once made fun of for the size of his ears becomes the main attraction at a circus, raising him to new heights. Everyone is about to discover that fame comes with a price. The little flying elephant called Dumbo first appeared over 80 years ago in a small comic-style roll-a-book that was just a few panels in length. The story was bought and changed into a feature-length cartoon by Walt Disney but was still relatively short at just over 60 minutes. Now, Tim Burton, director of such reimaginings as "Sleepy Hollow," "Charlie and the Chocolate Factory," and "Alice in Wonderland," transforms what was once a short tale that started as just a few pictures into a nearly two-hour live action film. Much like the previous incarnations, this film tells the story of a baby elephant named Jumbo, who is later dubbed Dumbo due to his large ears. He is first treated poorly and is used as a clown in the circus. 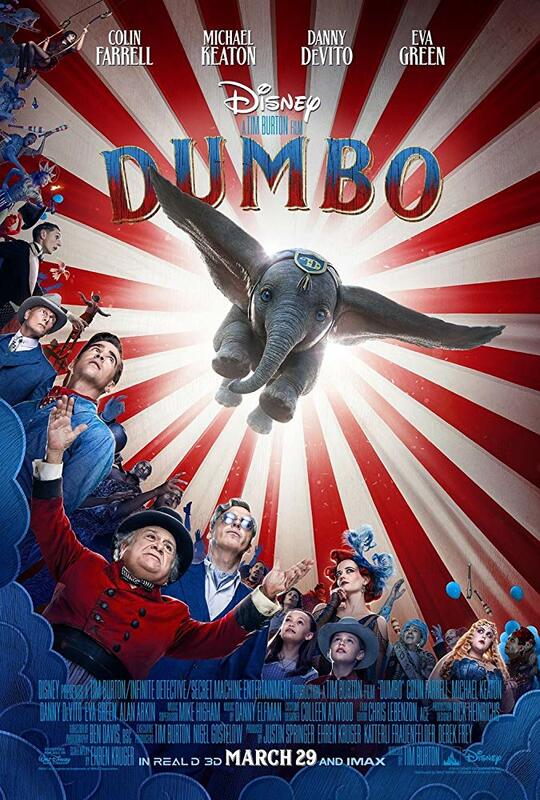 When it turns out that Dumbo can fly, he becomes an overnight sensation. Burton's version goes a step further and continues the tale, exploring what happened after the world discovered little Dumbo's talent. 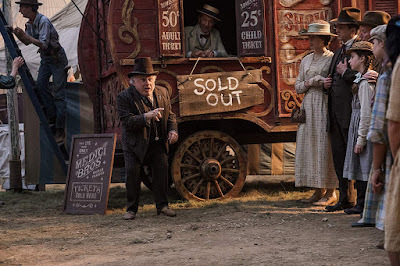 Milly (Nico Parker) and Joe Farrier (Finley Hobbins), the two children who discovered Dumbo's ability, train him at a large corporate amusement park with the hopes of one day reuniting him with his mother, who was sold after being declared a "mad elephant" for simply defending her child. Every Disney animated feature under the sun is being transformed into live-action. These modern incarnations have had varying results. 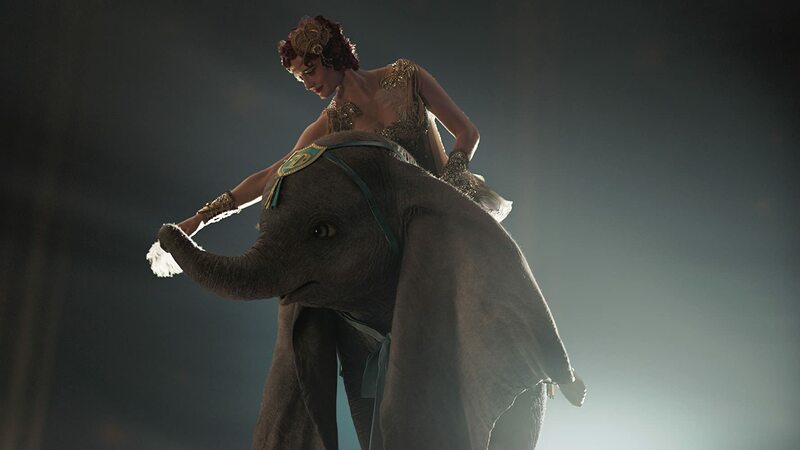 Tim Burton's remake of the beloved Mouse-House favorite "Dumbo" manages to take an old story and make it his own while still maintaining an element of nostalgic familiarity. He has also eliminated some of the original's more dated elements without hurting the underlying spirit of the character. We aren't saying that this final product is perfect. In fact, far from it. The acting is very stiff (from Colin Farrell, Nico Parker, and Finley Hobbins) and can be a little off-the-wall (Danny DeVito) and full of terribly distracting accents (Michael Keaton's whatever-the-hell-that-accent-was and Eva Green's French-twang), not to mention a late movie in-ring cameo used to deliver a pun joke not once BUT TWICE that had our eyes rolling so hard they nearly fell out of our skulls. The narrative itself is a bit weak, clunky, and contrived. That being said, we couldn't help the feeling of a sense of childlike joy and wonder every time Dumbo soared over the audience. Dumbo is so, so, so damn cute, and the way he is digitally rendered is remarkable. It just put a smile on our faces. We can't deny this movie is momentarily entertaining and even kind of exciting towards the end. We really enjoyed Danny Elfman's score, as well as some of the props, sets, and costumes. Burton surprisingly tries to deliver a message about theme parks backed by corporate machines and how they are prepared to exploit their artists to make a quick buck, showing little concern for the safety and well being of their employees and a willingness to throw them away like nothing. It's a bit of a weird and ironic message to come from a Disney studio film literally weeks after they bought Fox and closed down one of their entire divisions while handing its employees their pink slips. We are a little surprised they let Burton go ahead with that message all things considered. 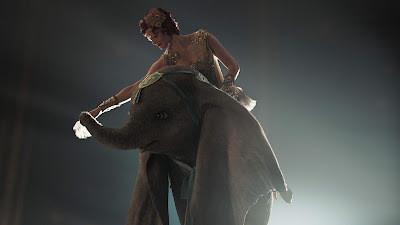 We had a pretty good time and a mostly enjoyable experience watching "Dumbo." It's worth watching if you're open to the idea of Burton-ized (read: semi-twisted) version of the story. 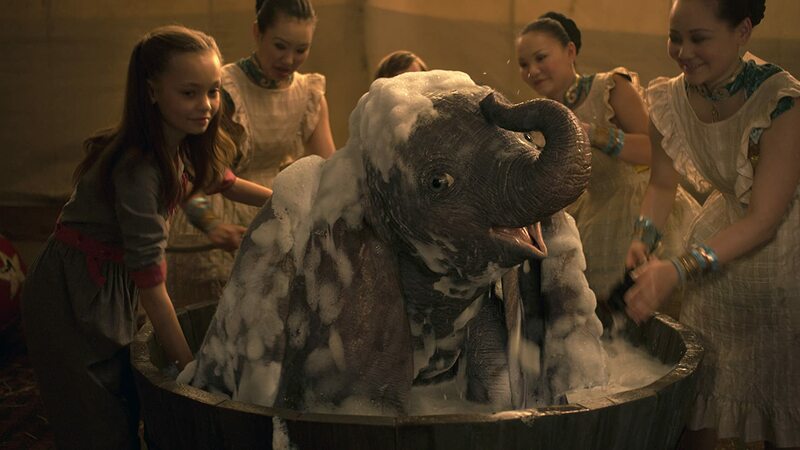 Dumbo himself is absolutely adorable and is sure to keep younger audiences entertained by its cuteness.